It’s almost summer and it’s time for your hand-woven beauties to surface again. Little do we realize that when we drape a hand-woven sari, we share a part of our history, our culture. History and a story behind the weaves and crafts has always fascinated me immensely. It is interesting to note that art, architecture, culture and history of a region often inspire collections from design houses. Did you know that our weavers take inspiration from their environment too? 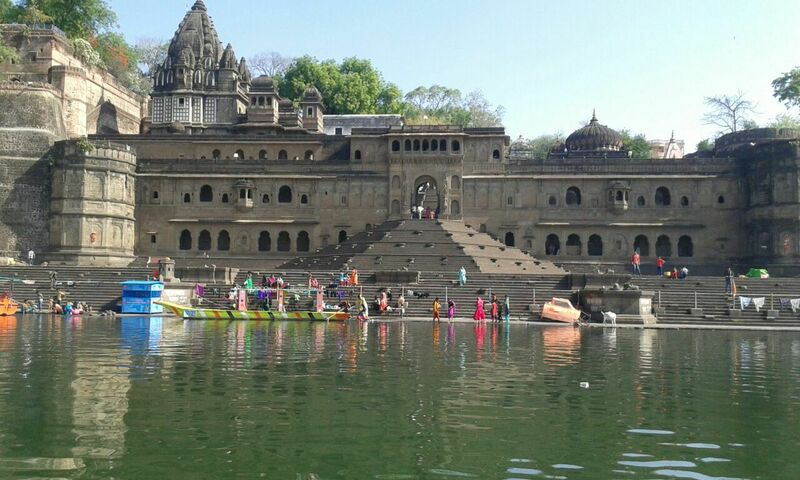 The patterns on our very own Maheshwari saris are generally inspired by the majestic Maheshwar fort! 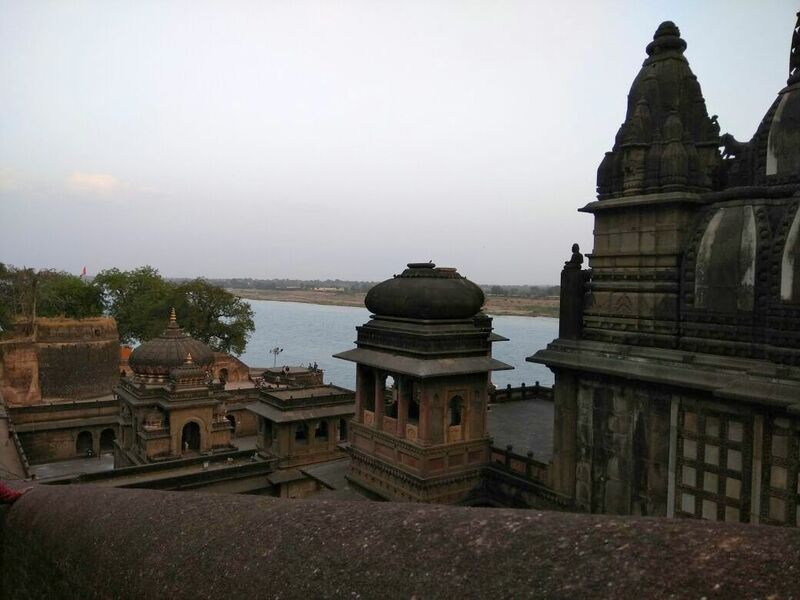 Rani Ahilyabai Holkar built the city of Maheshwar, and trusted the weavers from Surat to weave saris for the royal, with designs inspired by the fort. Legend has it that Rani Ahilyabai was the one responsible for weaving a 300 count saree way back in the 18th century. Not many weavers today own a loom for weaving a cotton Maheshwari, as their demand has decreased over the years. Weavers need help and would like nothing more than the love of handwoven to increase and, of course, for their work appreciated. 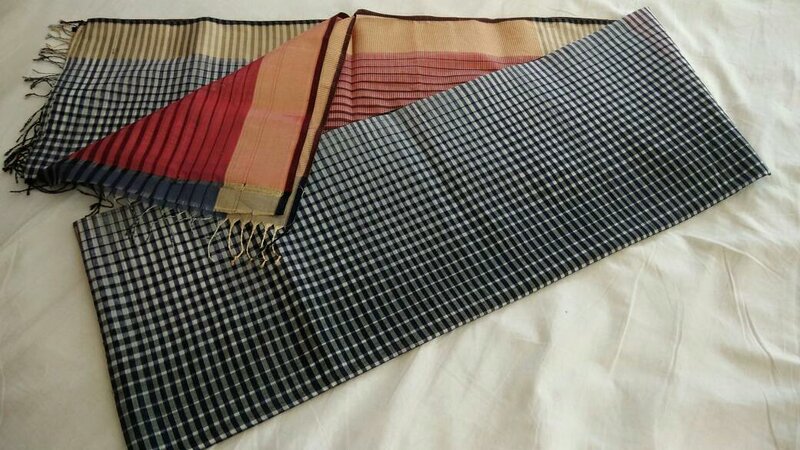 We spoke to one such weaver, Tousif Ansari, who has woven a pure cotton sari too recently, just like it was done way back in the 18th century. Read more about Maheshwaris from one of our earlier posts here. So, who is Tousif Ansari? Tousif, still under 30 years of age, is the youngest weaver in one of the most traditional weaving families of Maheshwar. Most of his family involve themselves in the actual weaving whilst his mother looks after the pre-loom work. He learnt to weave at the very young age of 15 from his father and uncle. He has since persevered and devoted several hours to weaving whilst also spending hours obtaining a formal education (study in commerce, fashion design technology, hand dyeing and hand block printing to name a few) to help him, start his very own handloom enterprise one day. 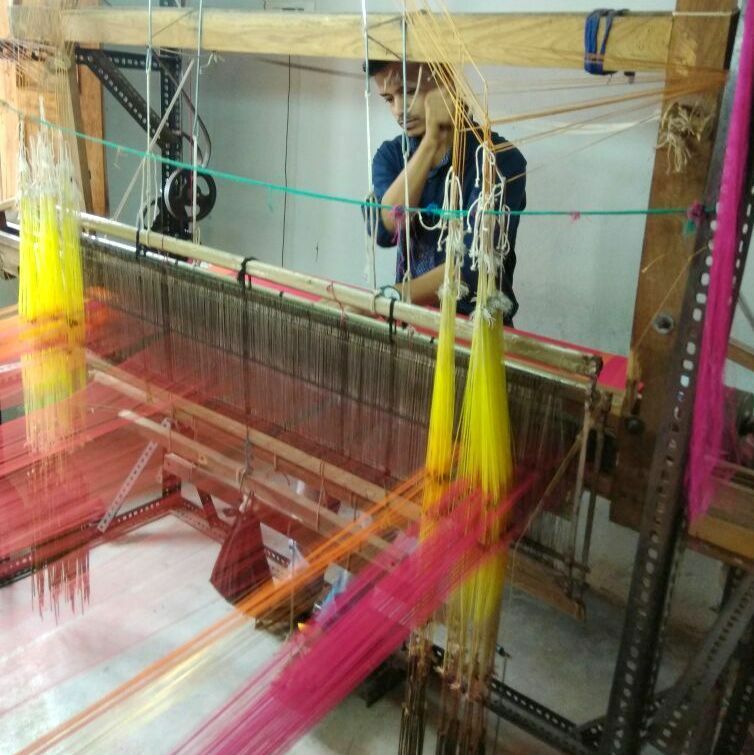 Currently, Tousif is weaving 10 saris a day. He manages production and marketing of four looms which his family operates. He hopes to increase the number of looms as and when the demand for his work increases, which he hopes would be soon. 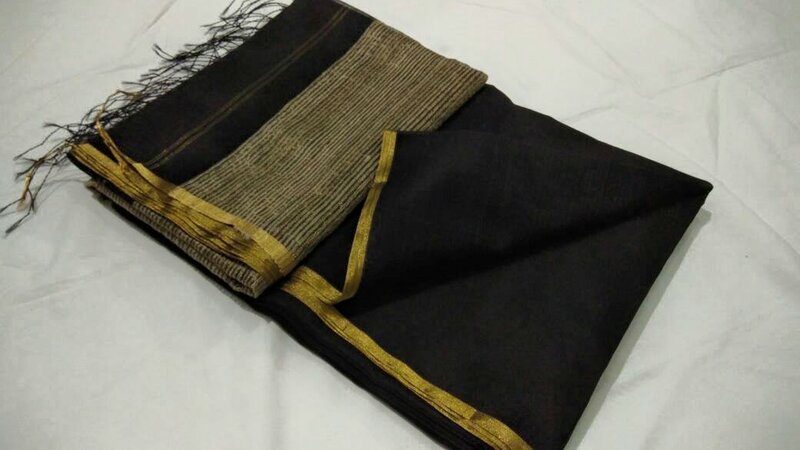 Also, if you have a need for a specific customised handloom product, then Tousif will be happy to work with you on that requirement as well. Do speak to him. Please contact Tousif via whatsapp or facebook to bring home a sari or for any queries that you may have. He also sells through exhibitions such as Kala Ghoda, Mumbai. Buying directly from the weaver is the best way to support them. 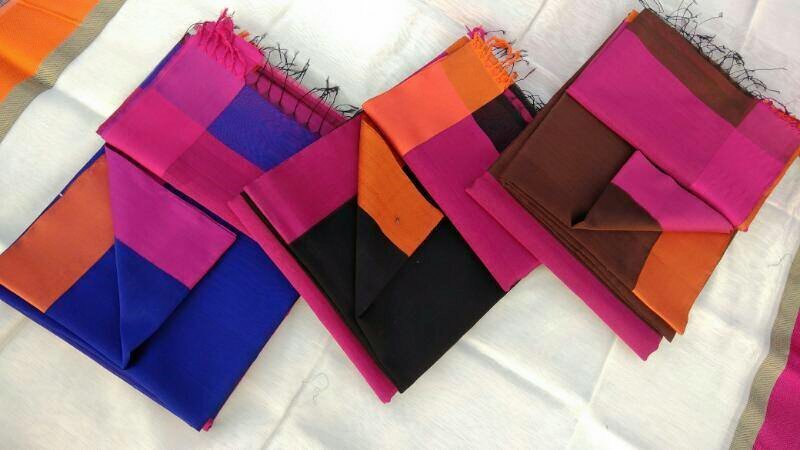 So, if you are looking for a handwoven Maheshwari, then please do speak to Tousif Ansari. Whatever you do, please do take the time to speak to the weaver, appreciate their work and have a listen to their story….Simply, just be Notjustashopper!